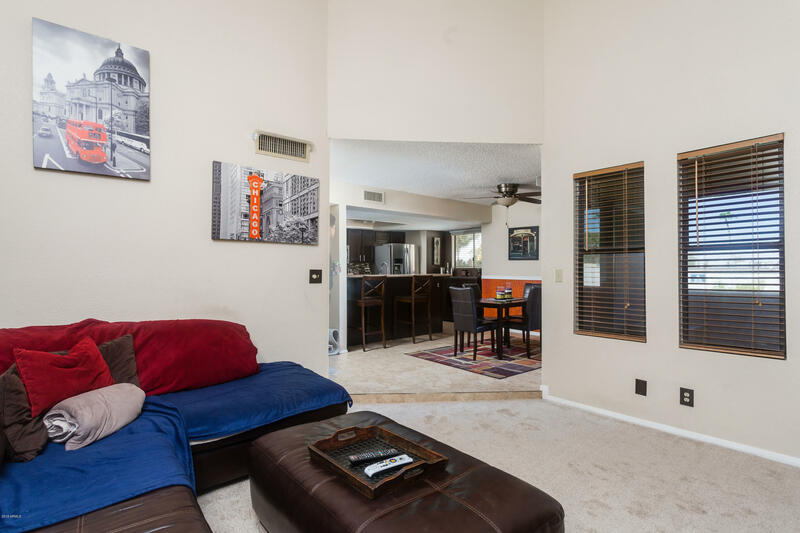 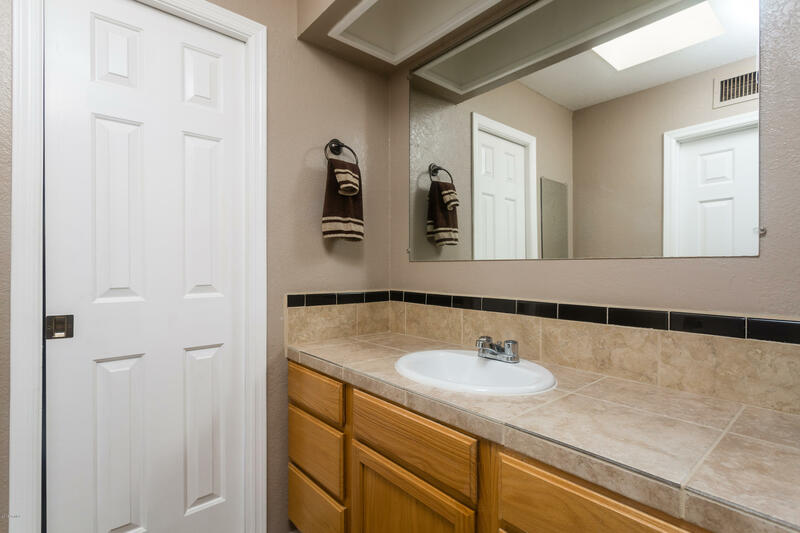 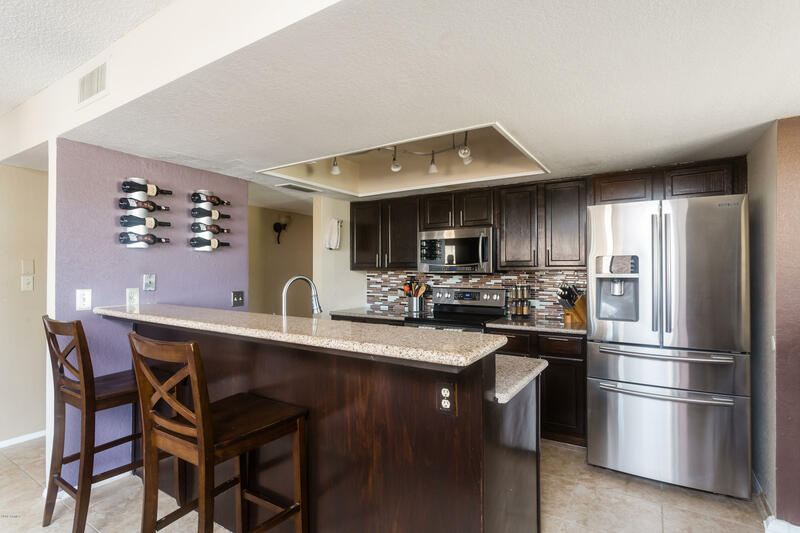 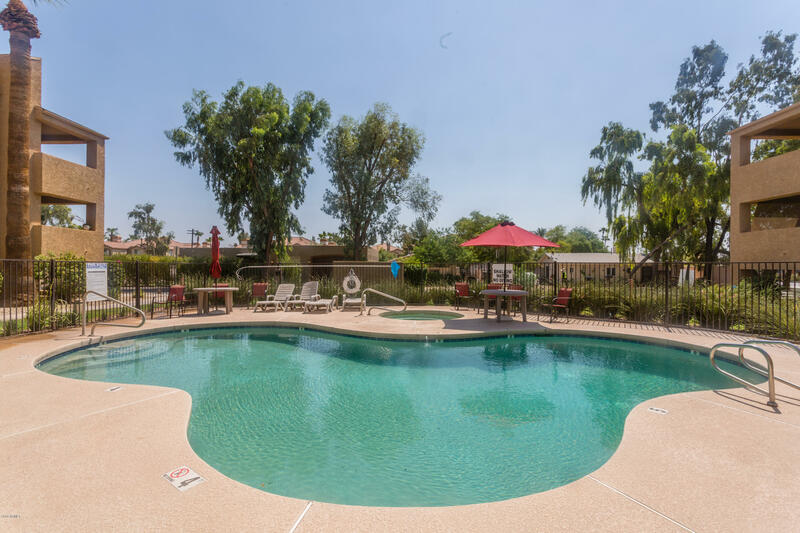 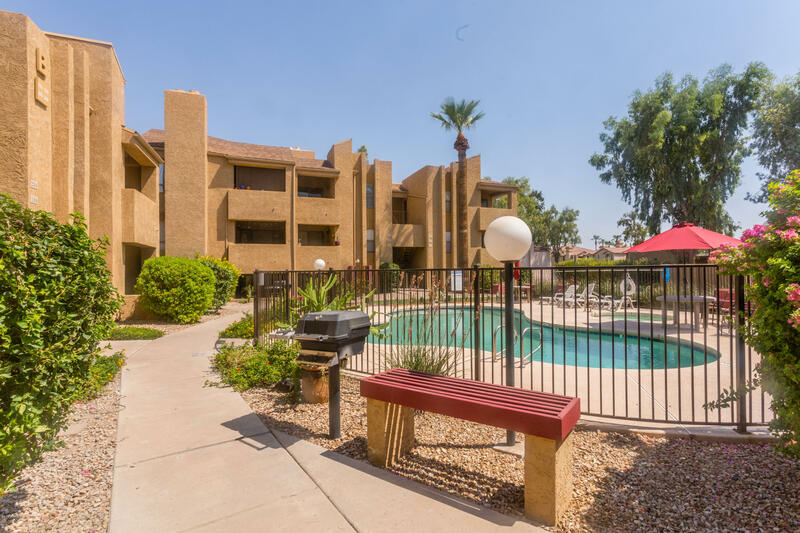 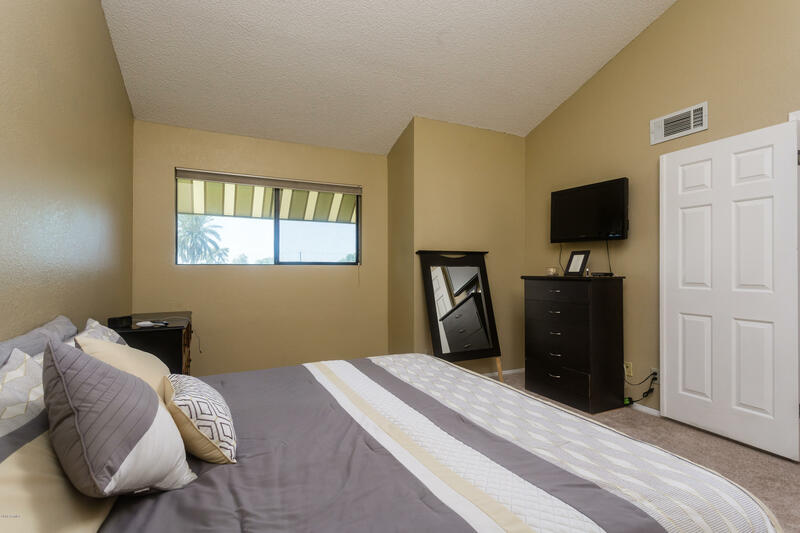 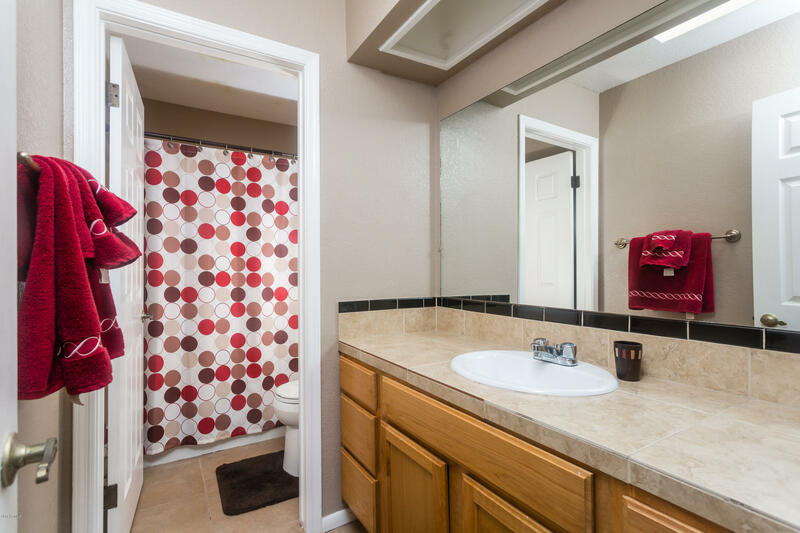 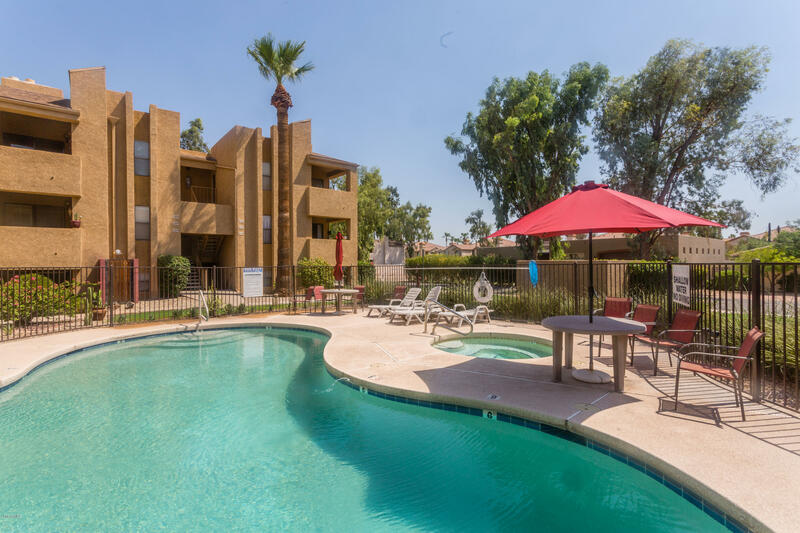 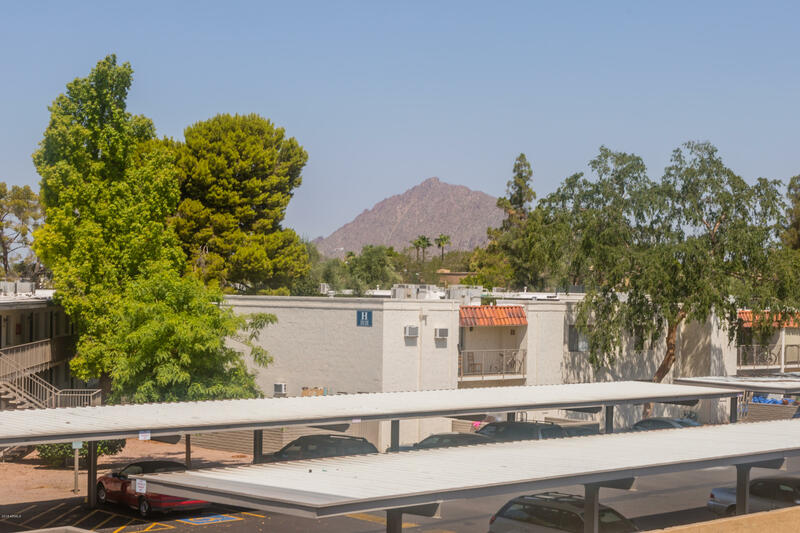 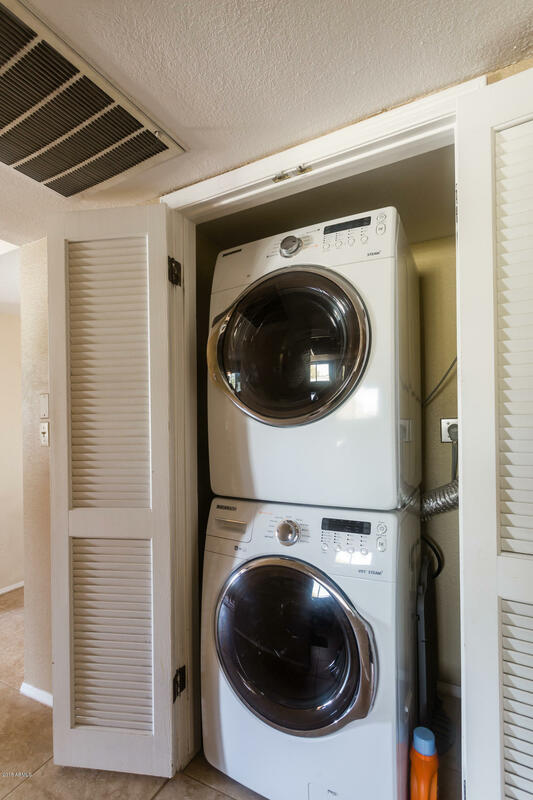 Beautifully updated condo in the heart of Scottsdale, located minutes from Old Town, Fashion Square Mall, Giants Spring Training Facility and easy freeway access! 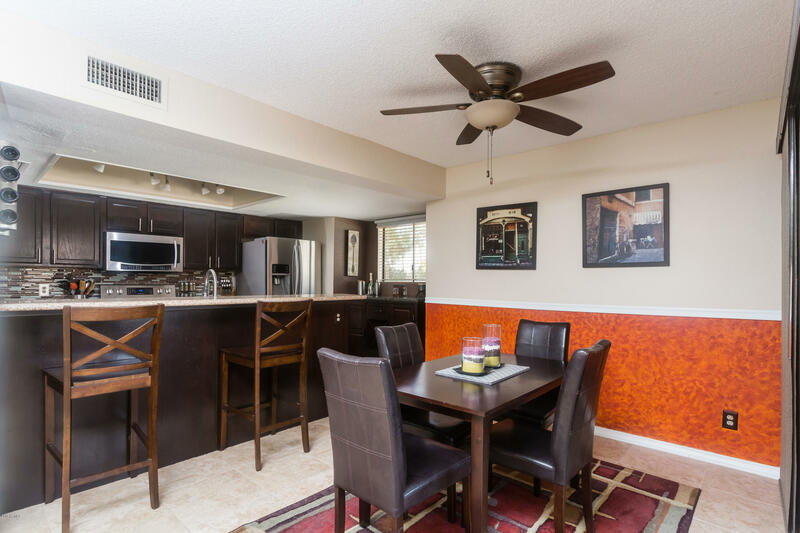 Spacious open concept floor plan, ideal for entertaining. 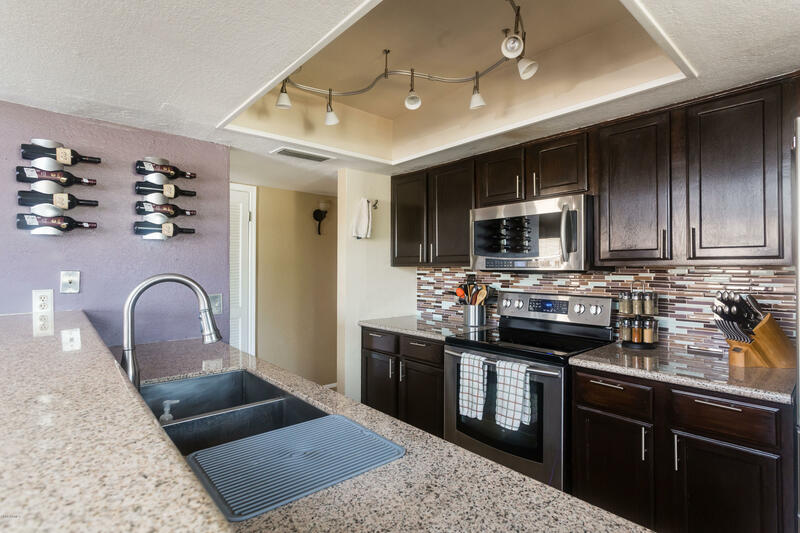 Kitchen has been updated with espresso cabinetry, glass tile backsplash, stainless steel appliances and granite counter tops. 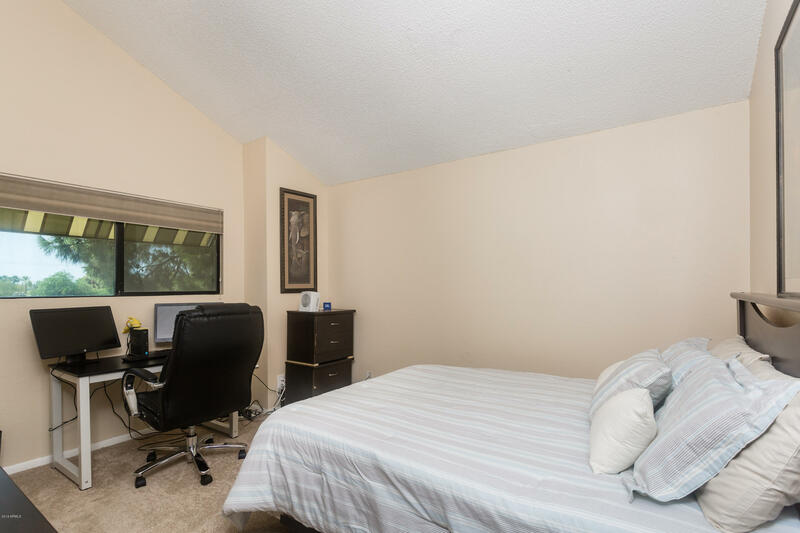 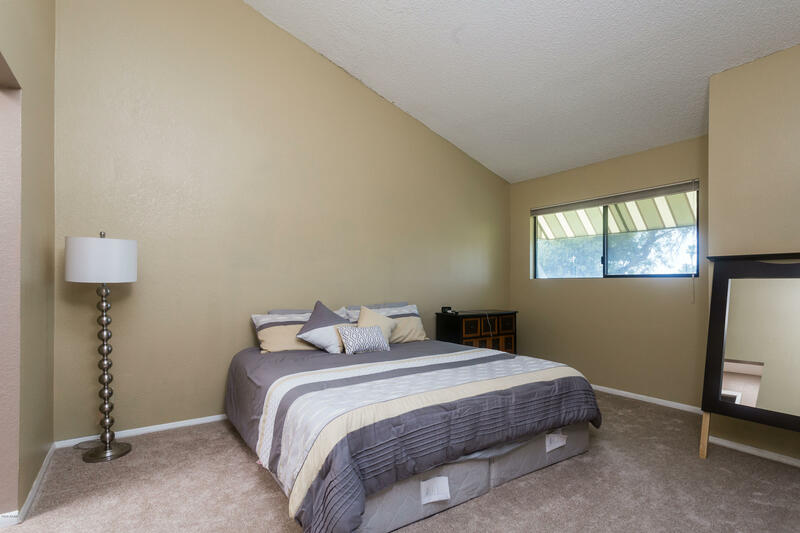 Ceramic tile in all the right places and NEW CARPET in the bedrooms and living room. 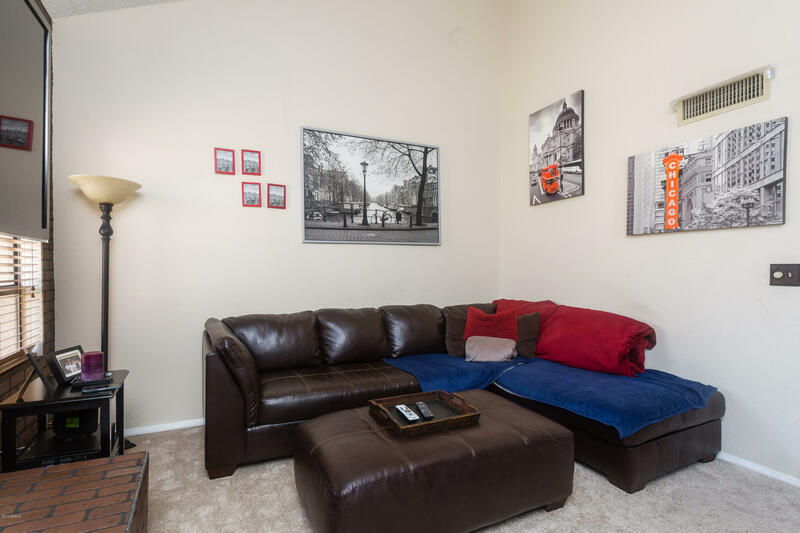 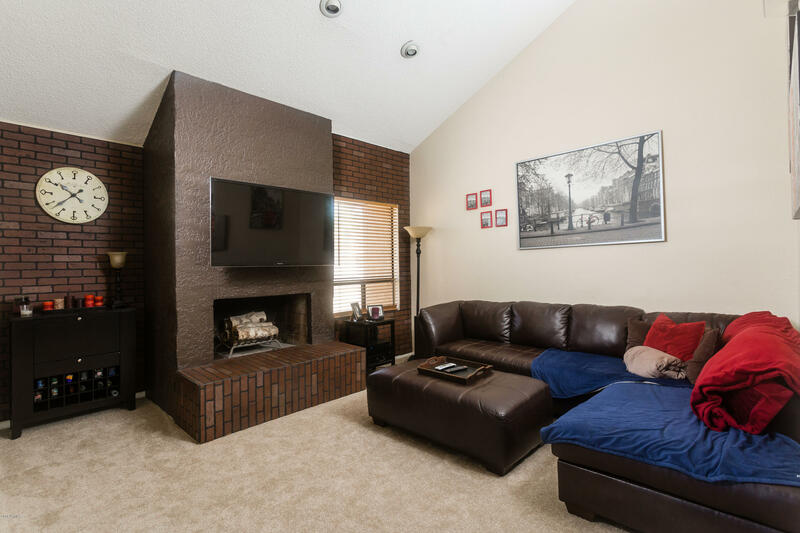 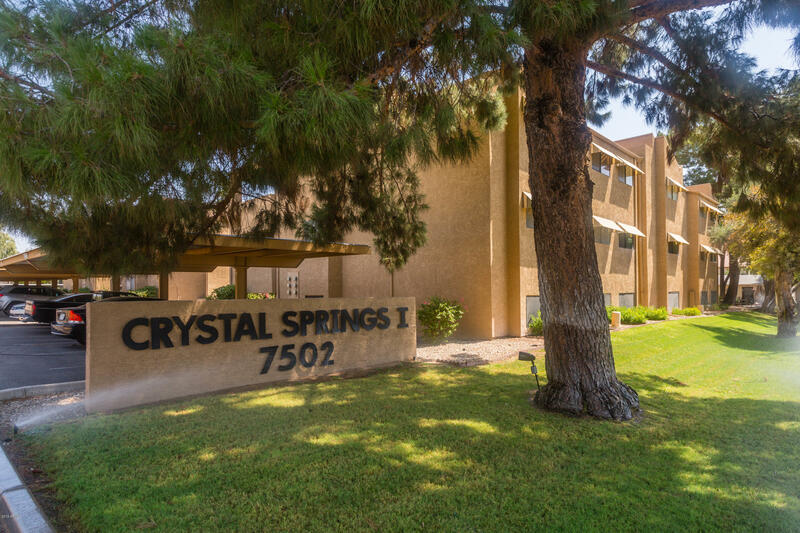 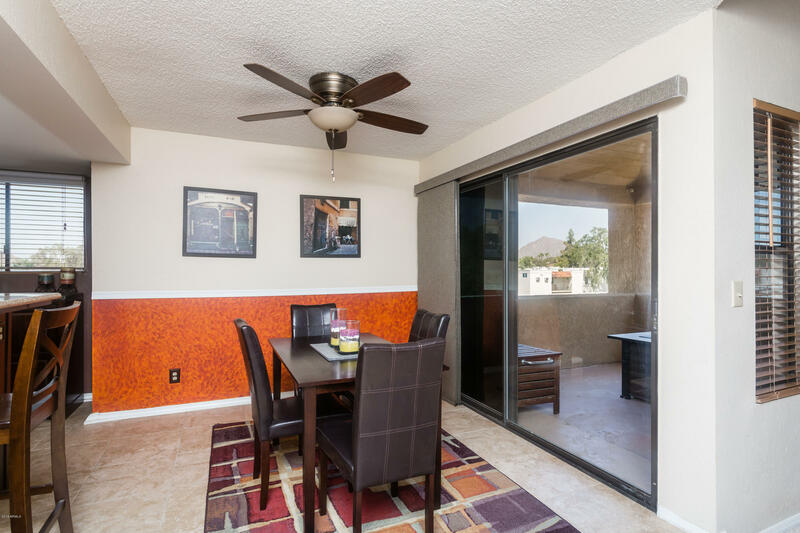 Large living room has vaulted ceilings, a cozy fireplace and views of Camelback Mountain!